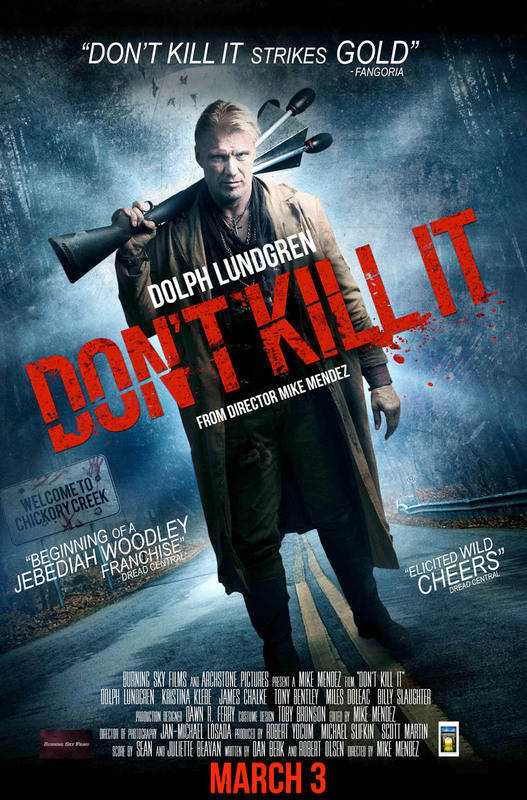 Don't Kill It DVD and Blu-ray release date was set for April 4, 2017 and available on Digital HD from Amazon Video and iTunes on March 3, 2017. Locals in Chickory Creek, a small Mississippi town, start brutally killing one another suddenly one evening. The police chief along with an agent of the Federal Bureau of Investigation named Evelyn Pierce eventually find a pattern to the killings: It seems that whoever kills the one who commits the murder spree at any given time becomes the next killer. Jebediah Woodley, a demon hunter, informs them that they have an ancient demon on their hands and that it is critical that they not kill it. Instead, they must capture it using unique measures, including rubber bullets and a net gun.